Bonjour lecteurs! We are back this week with another Baba Fashionista after a little break last week. We were very busy as you could have seen in Living Arrows 22/52. But don’t worry! We are back and stronger than ever with an absolutely gorgeous brand that you will for sure love! This week, Baba Fashionista with Dotty Dungarees presents you with a label specialised in one item: dungarees or une salopette as we call it in France. And because we love this brand so much, we teamed up with them for you to win one of their fabulous outfits. A lucky reader of The Frenchie Mummy Blog will get a pair of dungarees of their choice from the collection. A fabulous way to start a great weekend! Dotty Dungarees is a British brand, set up in 2014 by Alice Goldsmith and Georgie Parr. And they are creating only one thing: dungarees! So they really know their stuff! The brand started with trousers and have since added dungaree dresses, and shorts in summer, alongside a range of accessories to complement each look. 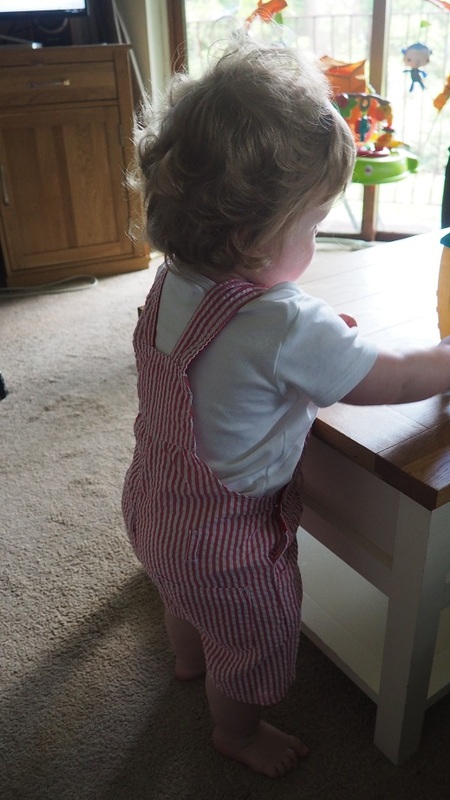 Dungarees are such a classic in babies and toddlers’ style. I have myself some sweet memories wearing some of them when I was a little girl. The label creates only dungarees because these garments are idéals to be outdoors exploring, imagining, creating worlds and universes… So Dotty Dungarees is about creating the perfect pair and producing collections each season which feed the imagination and encourage adventure. They are practical too: you can lengthen the shoulder straps and tweak the adorable dotty turn-ups on the trousers so they can be worn up to a year and passed down to siblings. Dotty Dungarees allow your child the freedom to explore whatever the weather, wherever you are. Clothes are designed to fit both boys and girls, from crawling to climbing trees (3m to 5yrs). I don’t know about you but I would already be in love even before trying one of their items! The label is so successful that it just launched a new baby range – Diddy Dottys – 100% combed cotton clothing for the very littlest ones (birth to one year). Using its signature ‘dotty’ fabrics, this adorable collection is made of the softest possible fabrics and has comfort and quality at its heart. So intéressé? Hold on! There is one more thing you must know about this gorgeous brand! The label was one of the Bubble London Rising Star Finalist in 2015! And it’s been featured in the great magazine Baby London many times! Two signs of awesomeness for sure! Let’s see now what Baba made of the two dungarees he received for this review! I can tell you for a start that le Frenchie bébé was very excited when the postman delivered them. 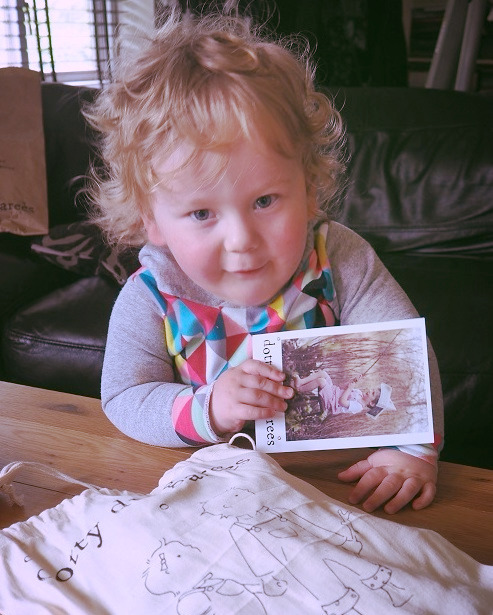 Each item of Dotty clothing is beautifully packaged in a bespoke fabric bag. Baba was also thrilled to have a personal note from Alice and Georgie! Did you see the little note they left for me? I am becoming a star! These bright red stripe seersucker shorts with matching red lining are so parfaits for the Summer. The fabric is very light and so comfy for your little ones! Baba also loves the colour. I rarely buy him red items but it is very festive. Check out my moves! So easy in this outfit! The button loop shoulder straps are also very cute with the name of the label on them. And it’s so much easier than buckles when you need to dress up a little monster always on the go. If I have to change Baba while we are out, I want something effortless and quick. This pair of dungarees proved to do the job in such situations! Super comfy! Look at me! En plus, who can resist stripes! I love this print! This pair of dungarees is a dream comes true for the season! They are colourful, comfy, fun, but also elegant and of excellent quality! This item is just adorable! The colour is gorgeous and with more stripes, I am for sure in love! Being elegant… Doing what I love best: playing with tea sets! The adjustable straps and turn-ups make this outfit fun and versatile if you want a little something different. Tweak the adorable dotty turn-ups on the trousers and you have a new style! The signature Dotty blue lining inside is also gorgeous and matches up so nicely with the stripes. One small step for Baba, one giant leap for the baby world! Once more, the dungarees are super comfy. 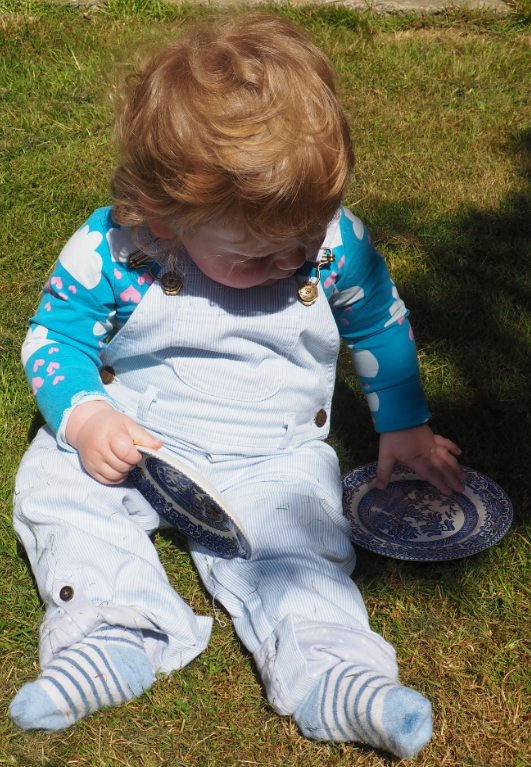 As you can see on our pictures, Baba felt so cosy in them he ran everywhere in his grandad’s garden! It was actually the first time he was happy to play and crawl around in the grass like that! If it’s not a sign that he was confident and relaxed, then I don’t know! Not sure at first about the grass. Later on, it was the new toy of the day! These dungarees are equality superb to the first ones we received. I particularly like the colour and the softness about them! Another key item to play nicely in the garden over the next few months! Alice and Georgie, the Dotty Dungarees’ founder want to create fond memories for children and their family. Well, I say ‘Misson accomplie!’ Their clothes are not only elegant and sweet but also comfy and so much fun. Dungarees are a synonym of fab adventures and freedom. Dotty Dungarees knows it and makes it possible with its adorable collection. So much that I would love one for myself! The quality of the dungarees is remarkable. It will last for sure and Baba will pass them on to his siblings (if it ever happens). The label we presented you with today is for sure a hit. Cool, fun, but also smart, it has all the advantages that a Maman can think of! I hope Baba Fashionista with Dotty Dungarees made you feel like you want to buy the whole collection of this fabulous brand. Or maybe you just want to buy une salopette now for yourself and go for a picnic in the park? Because I do! The life of a blogging star is tough. Exhausted now. Let’s play with my teddy! 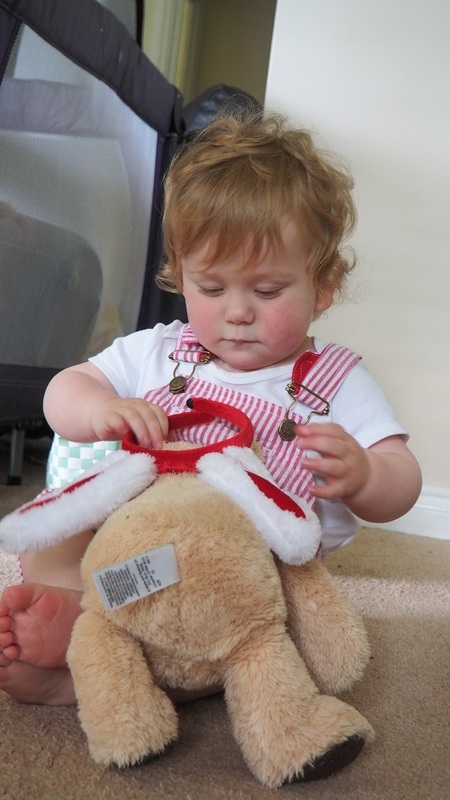 Disclosure: we received two gorgeous salopettes from Dotty Dungarees in exchange for an honest review. 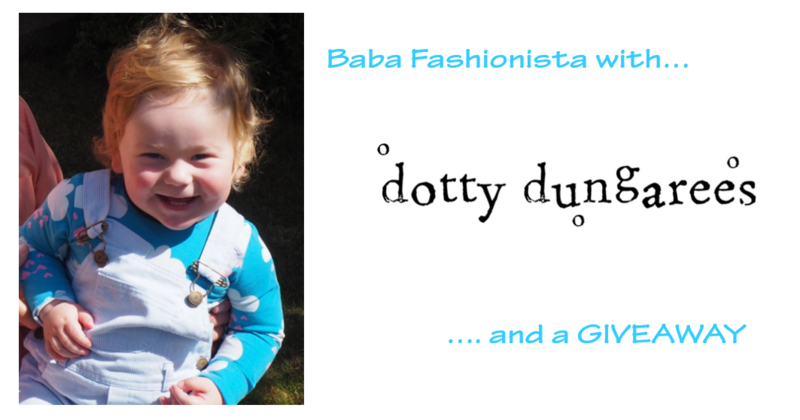 Baba Fashionista with Dotty Dungarees – Giveaway! 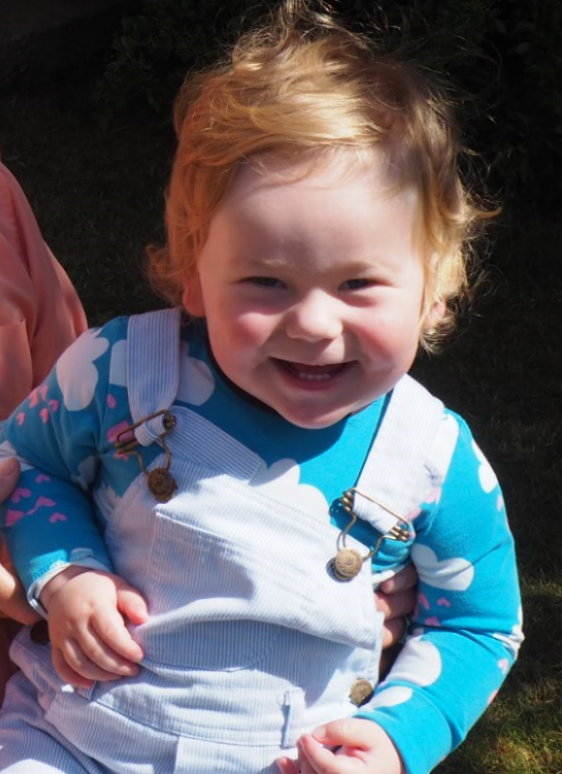 I hope you liked reading our Baba Fashionista with Dotty Dungarees and it reminded you of some great childhood memories? But for now, time to win some fabulous outfit from the brand we introduce today! So happy to be a stylish baby! Is your little one an adventurer always on the go? Or do you want them to feel super comfy in their next outfit? Then enter our exclusive GIVEAWAY with this fab label in town to win some dungarees of your choice! Provision of the prize is the responsibility of Dotty Dungarees. These dungarees are so cute. My daughter would love the pink stripe dress. 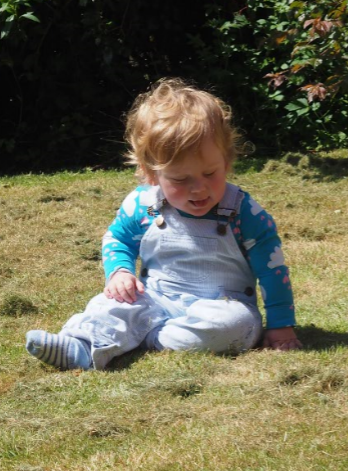 Dungarees always look so adorable – I’d love some for daughter or nephew! Lovely dungarees, like the blue striped ones. I love dungarees, I think they always look so cute on both boys and girls. They have some lovely designs! Dungarees are so cute! Especially in these designs! 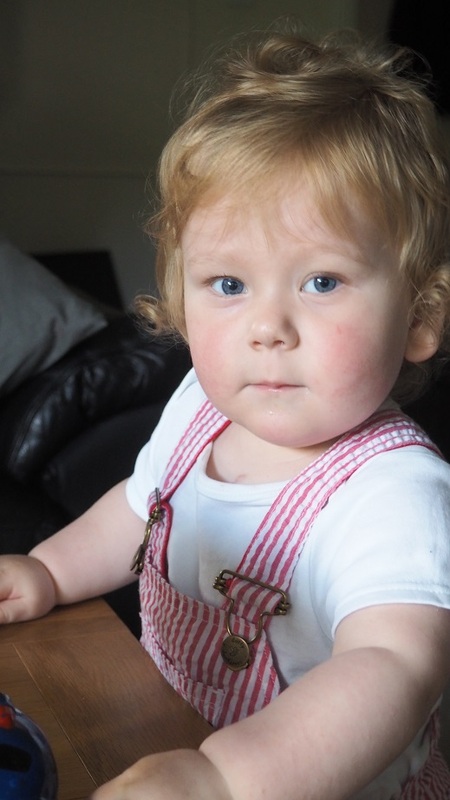 Lovely photo’s and lovely dungarees. We love to win these for a niece daughter / she would look great in these especially the red striped one! 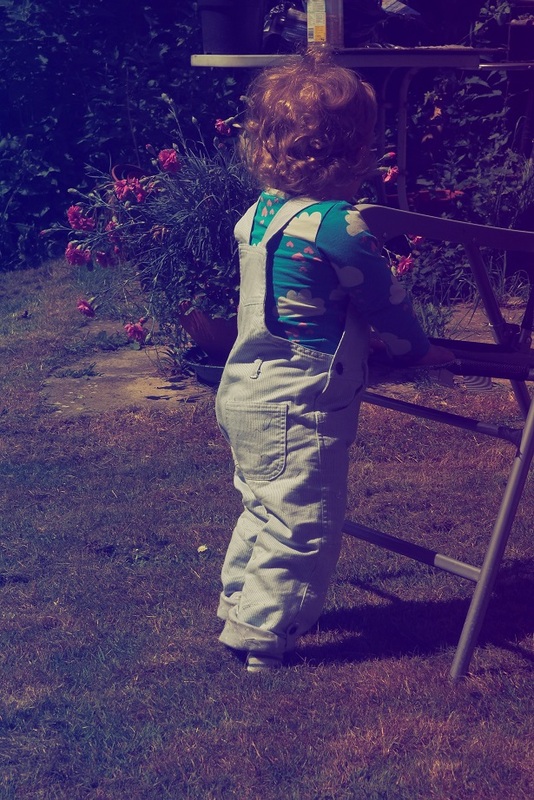 I live nothing more than a pair of dungarees on a little one unbelievably cute. The dungarees would be great for my young nephew. Children look so cute in dungarees. I remember my mum used to dress me in them when i was little too and nice to see they have come back in fashion. Would love to win this for our baby girl. Fantastic prize. So adorable and cute i love it! I would love to win these for my little boy, he would look super cute! How lovely to see dungarees again. Practical and cute. I love dungaree yet I don’t own any of my kids I’ve looked at them online but never bought any I don’t know why either ? I am in love with the blue stripe dungarees!! Love the colour . MY son is 22 months and I love him in baby blue (first boy after three girls!) they look super comfy and soft perfect for my little whirlwind toddler ??? Love dunagrees and luckily so do both my great-nieces. These are lovely. I love the look of this brand! 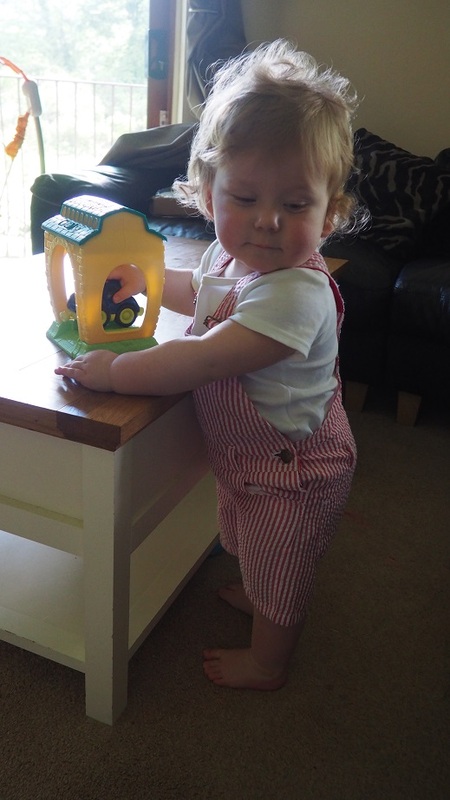 Dungarees always look good on little ones! Dungarees are very practical clothes for children, as they can be adjusted as the child grows. The red seersucker shorty dungarees look very cute on your boy. Lovely prize. My new niece would look so cute in these. Next Next post: Living Arrows 23/52 – Out and About!